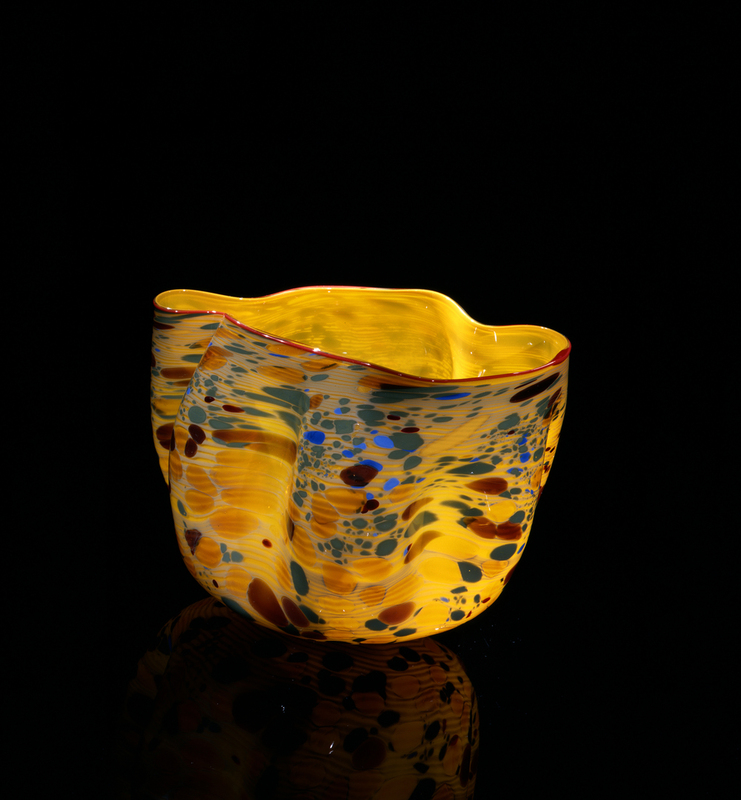 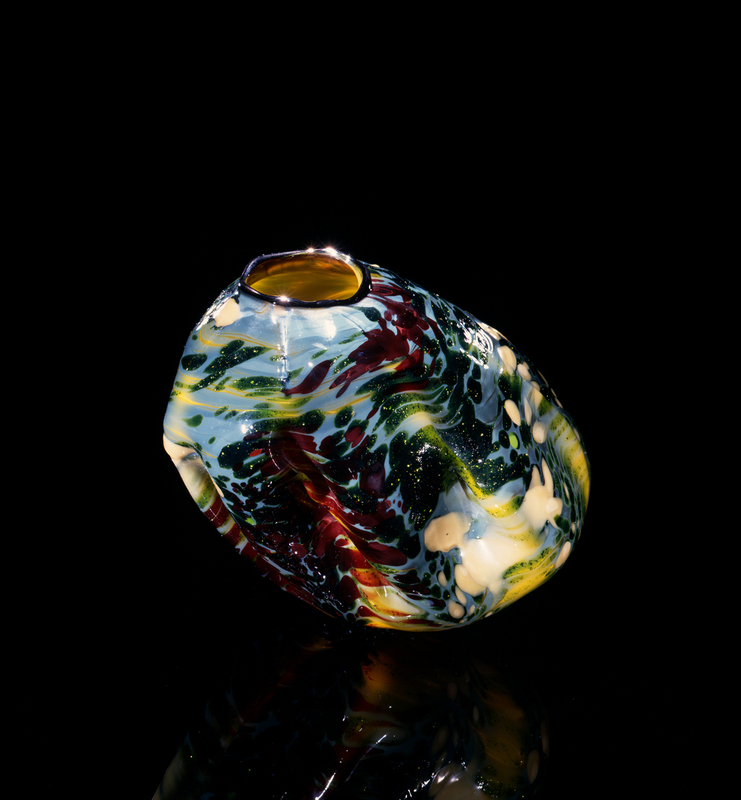 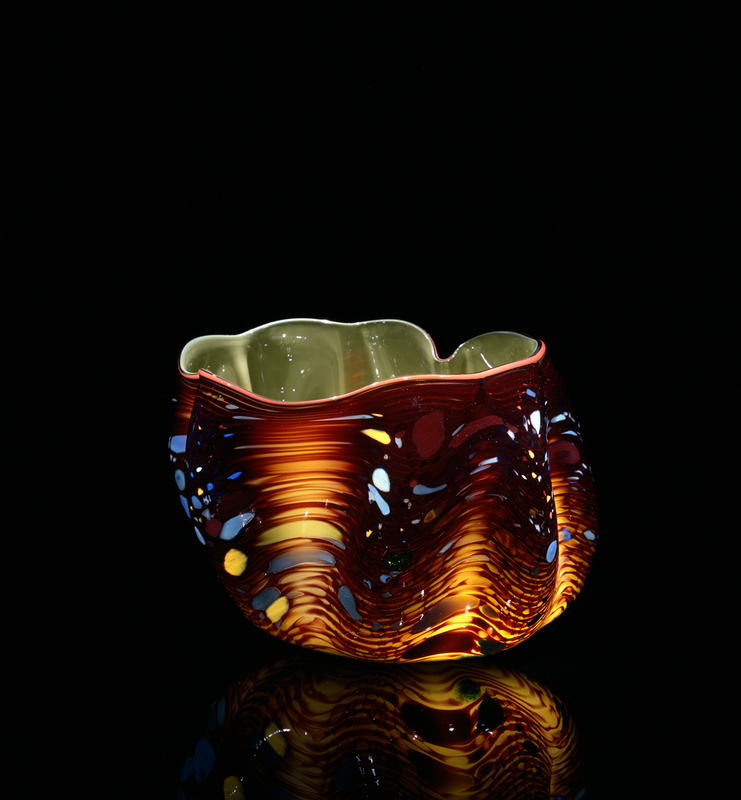 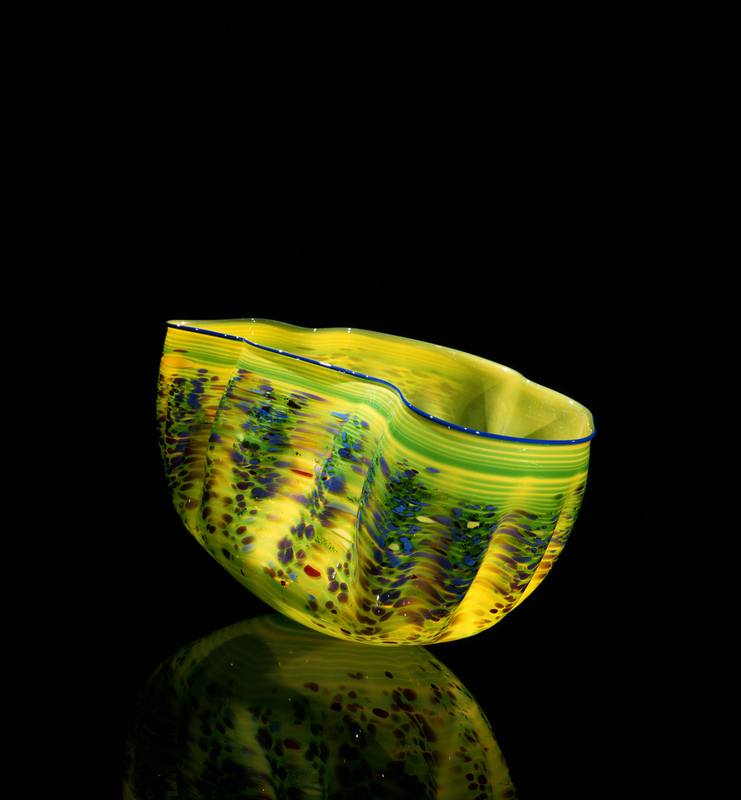 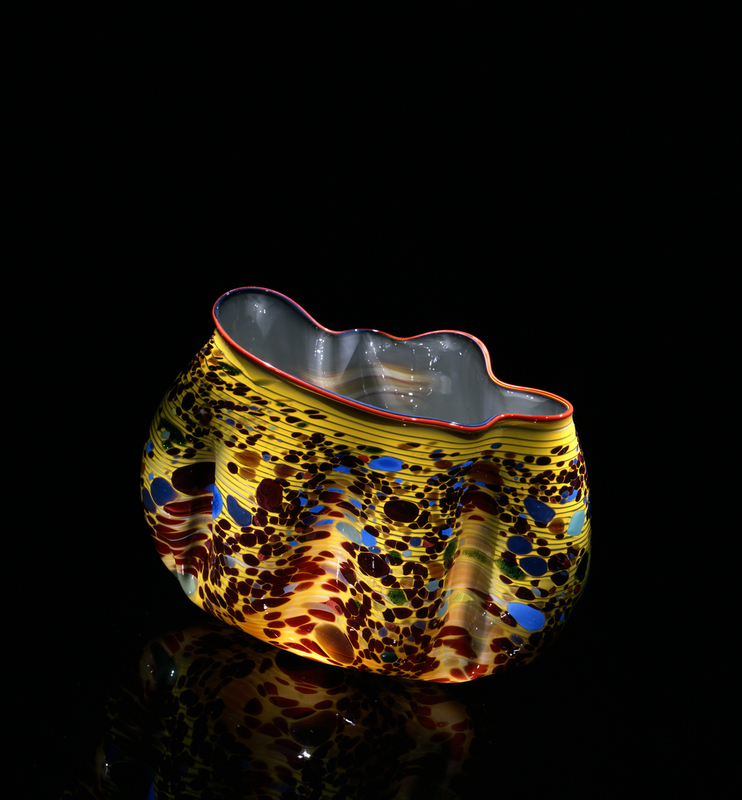 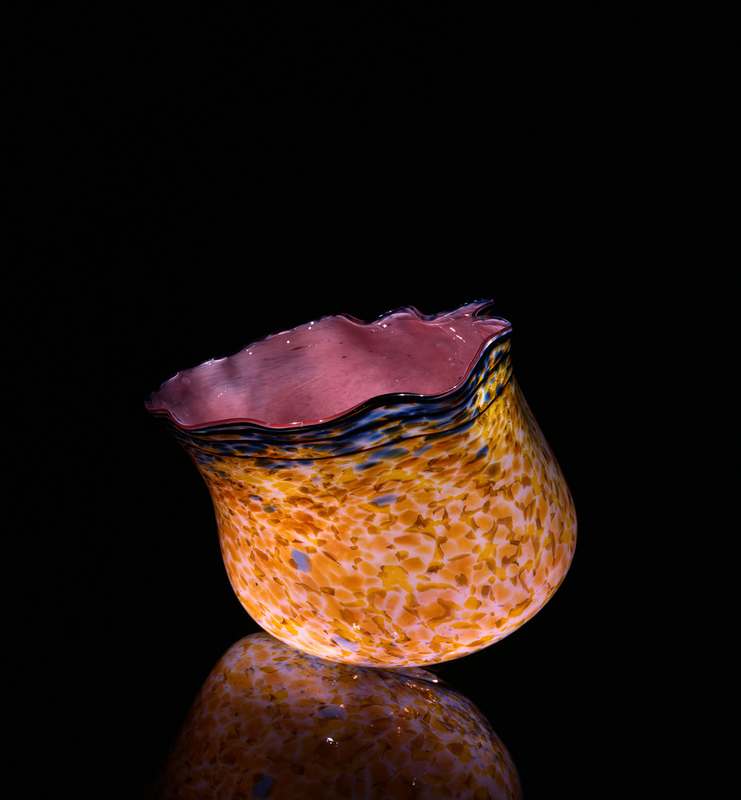 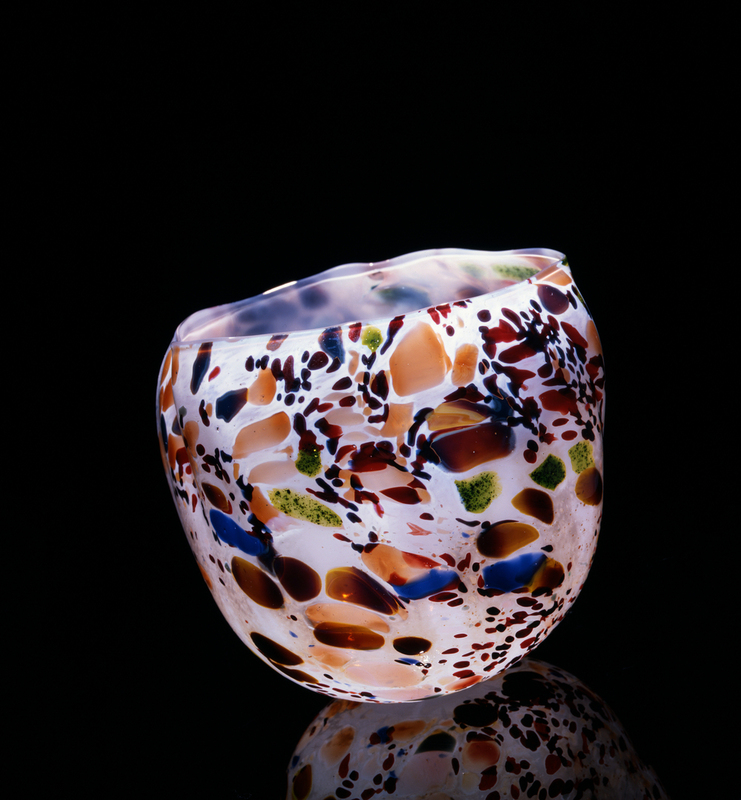 In the summer of 1981, Dale Chihuly began an ongoing series he calls the Macchia (from the Italian word for spotted or stained). 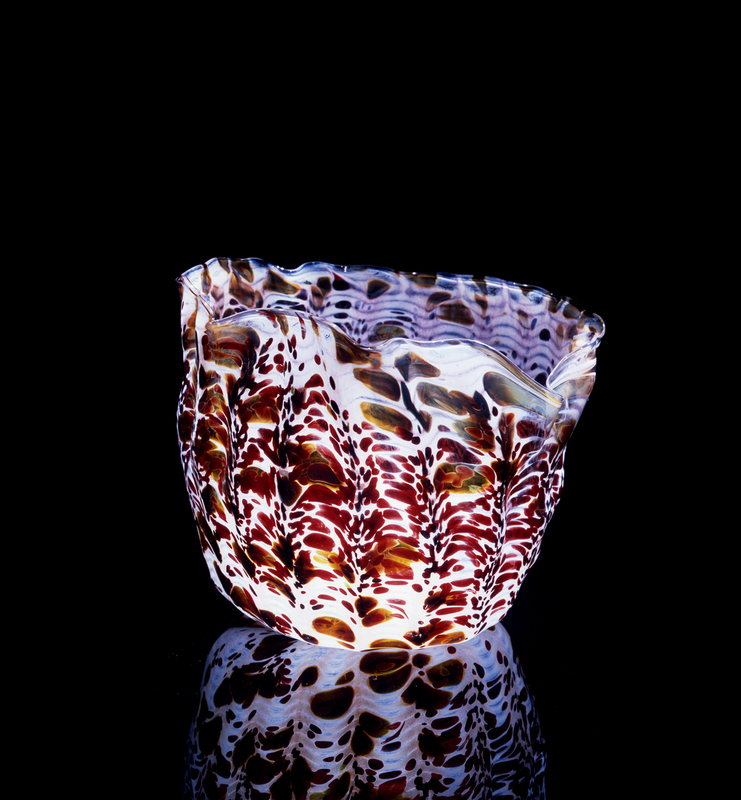 The title Macchia was suggested by Chihuly's close friend Italo Scanga, not only because of the vessels' dappled surfaces, but "macchia" also suggests the initial idea originating in the mind of an artist that eventually becomes a sketch for a more fully realized work. 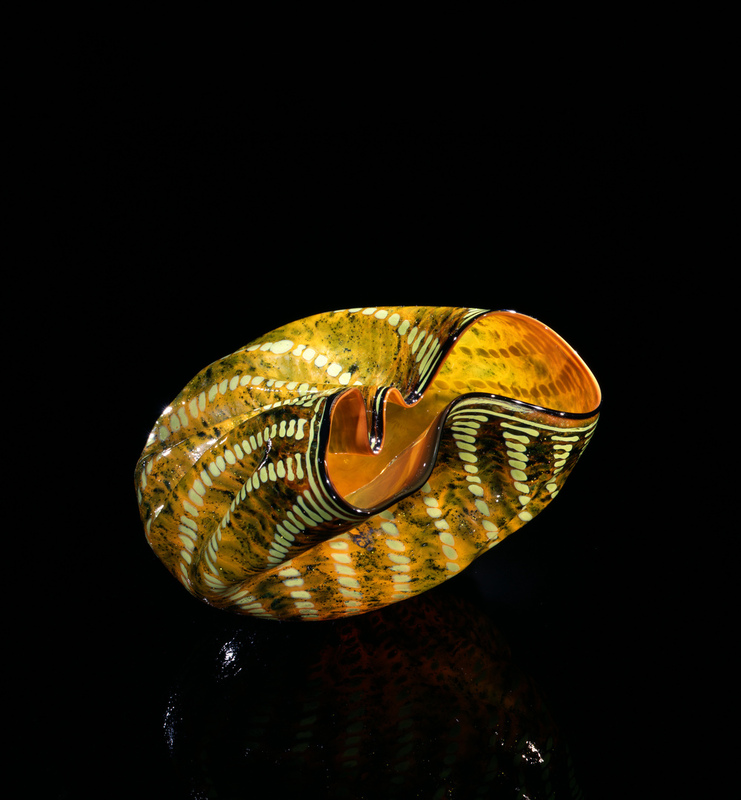 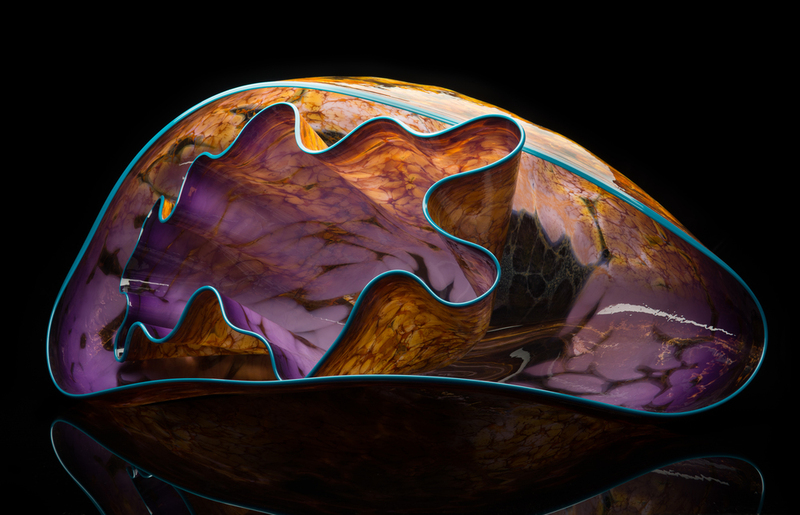 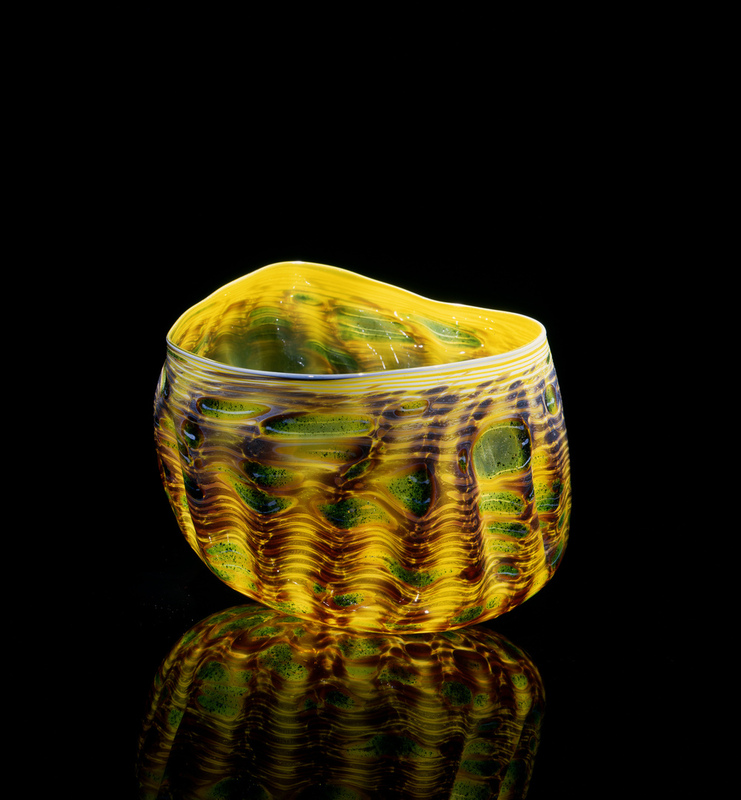 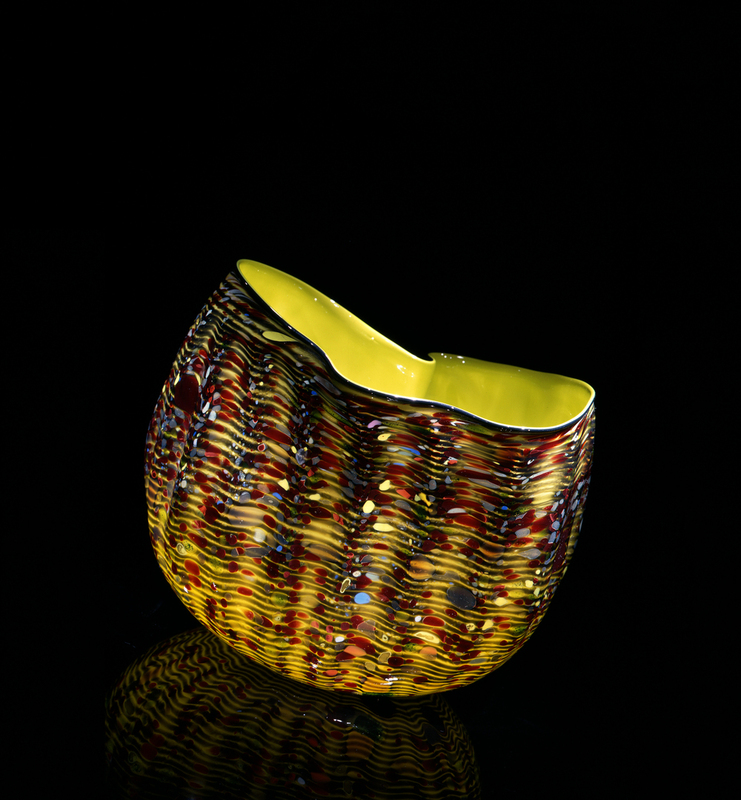 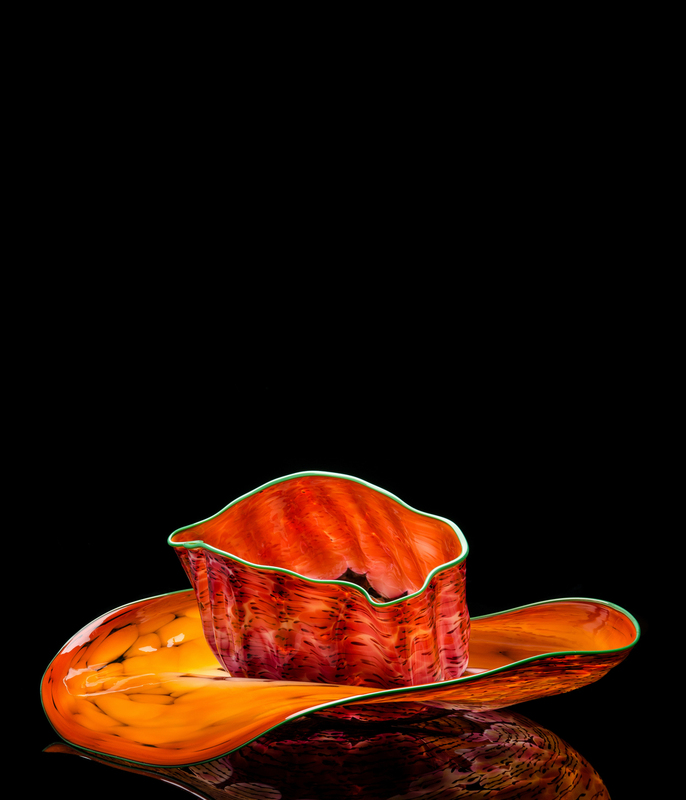 The series evolved out of Chihuly's earlier Seaforms, but focused on the artist's insatiable obsession with capturing the nearly inexhaustible possibilities for combining colors within the bell-shape of molten glass. 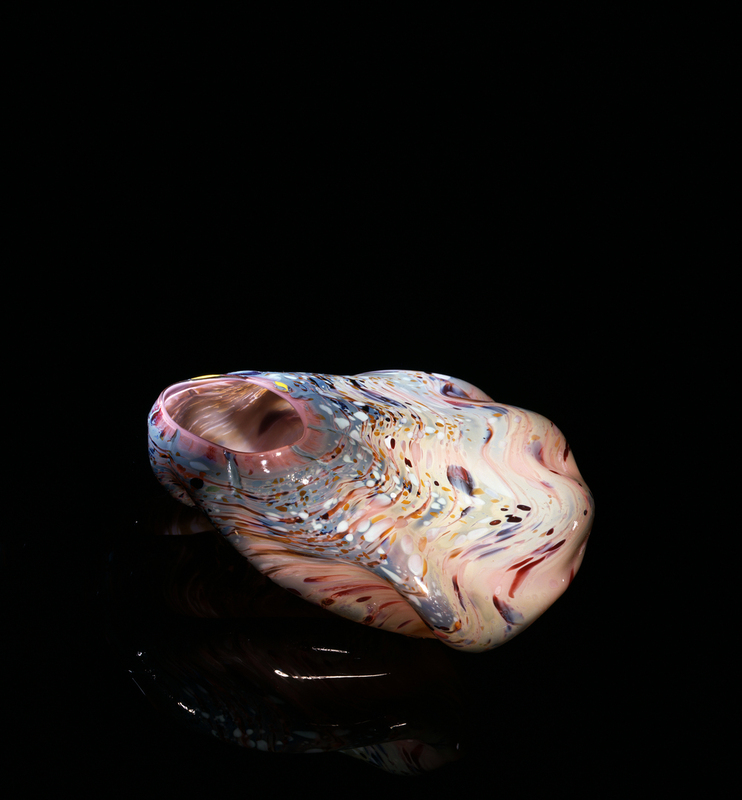 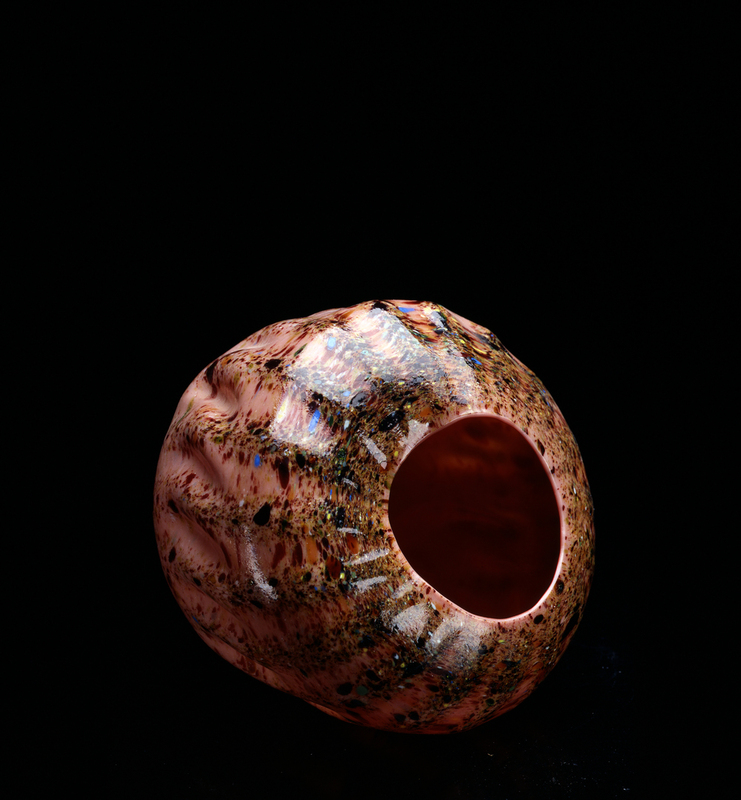 The earliest Macchia in the Stroemple Collection were blown by William Morris as head gaffer in 1981, and trace the very first small, oddly shaped experimental works through the most flamboyant and exuberantly hued vessels of this series created over the following five or six years. 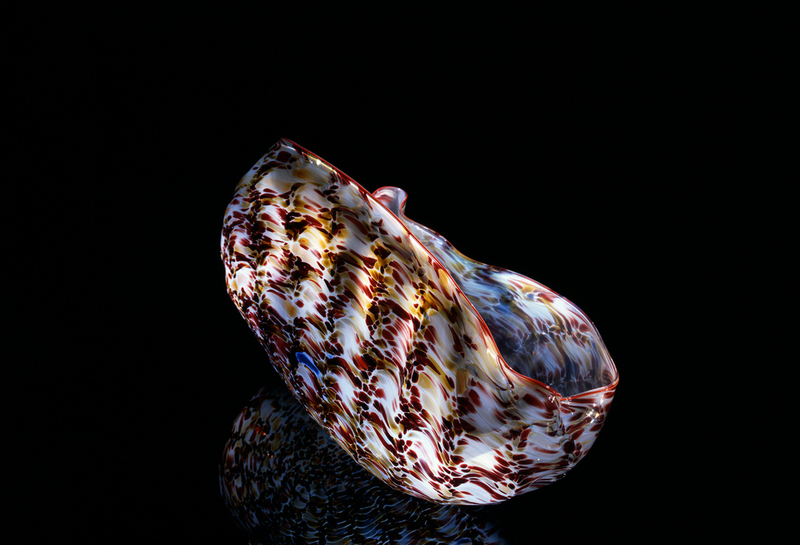 Approximately 81 Macchia and 20 drawings. 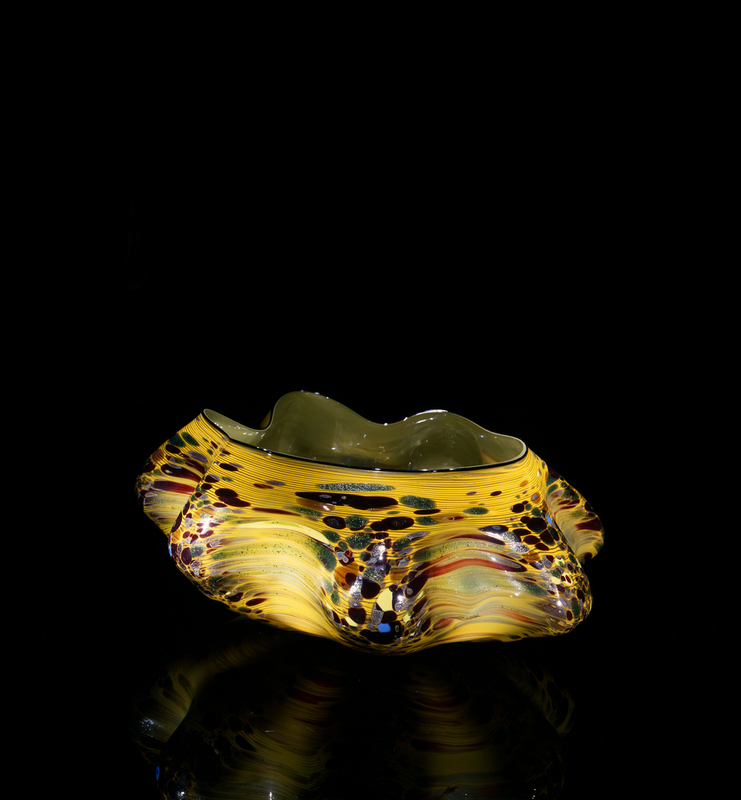 Object list can be adapted to borrowing venue's space requirements. 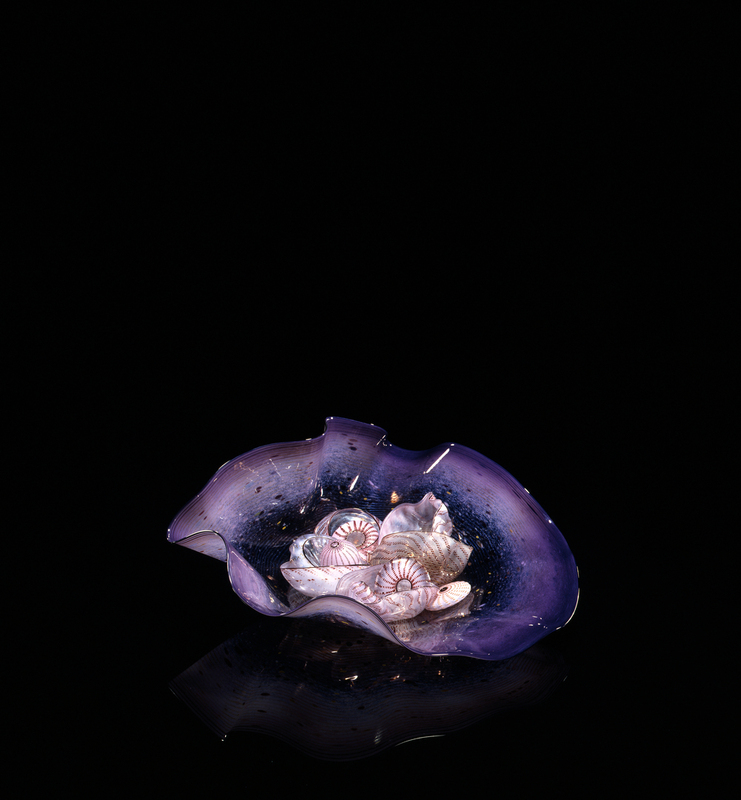 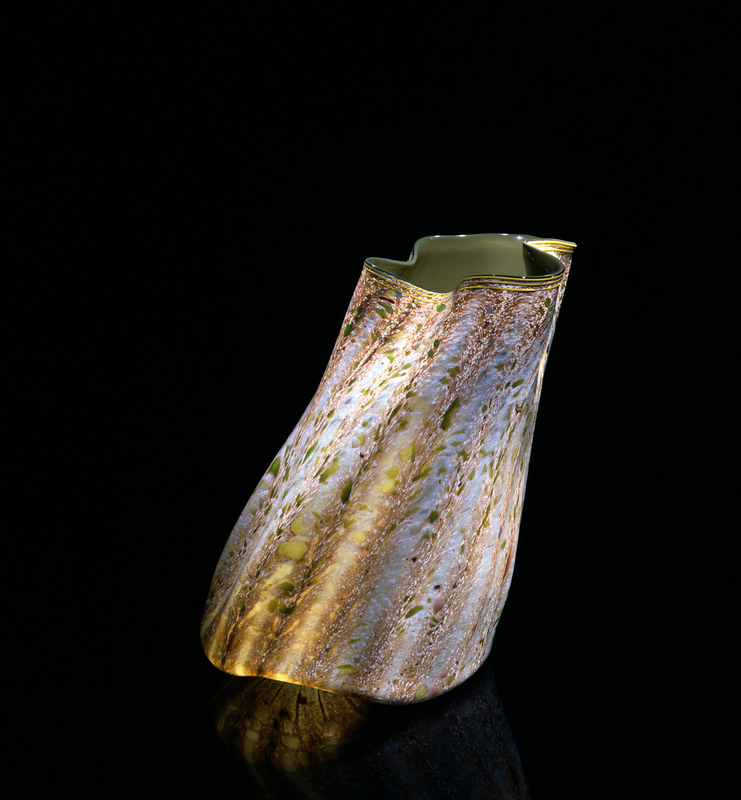 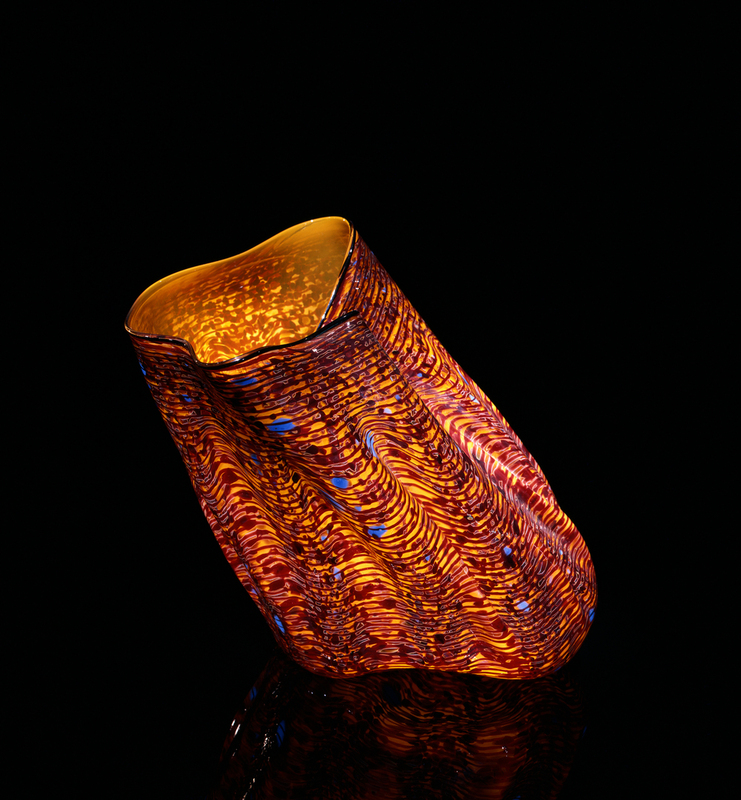 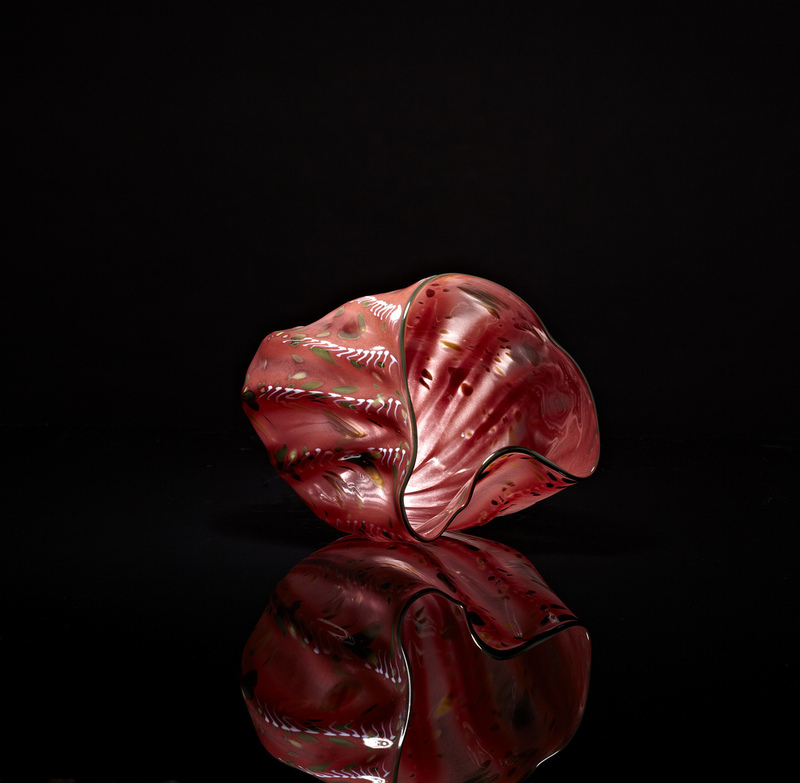 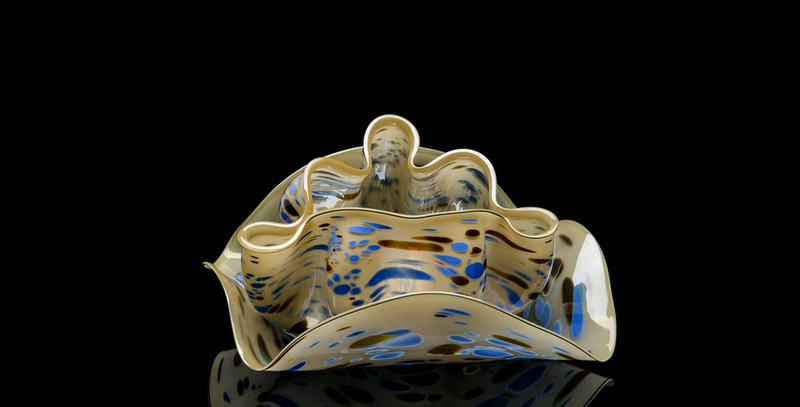 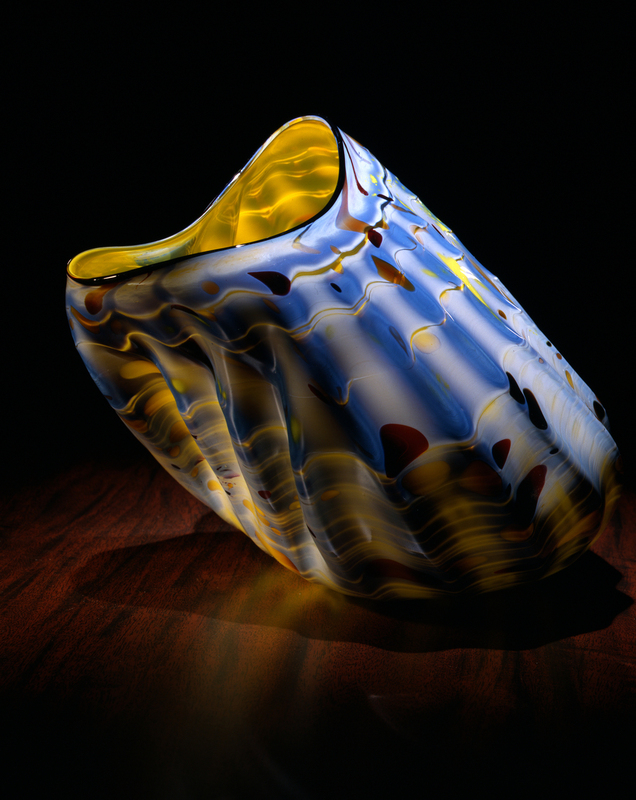 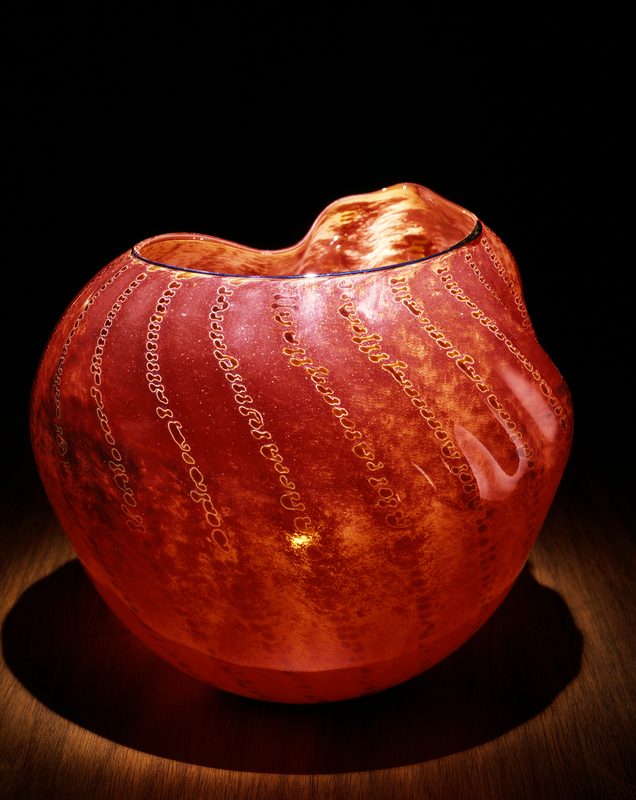 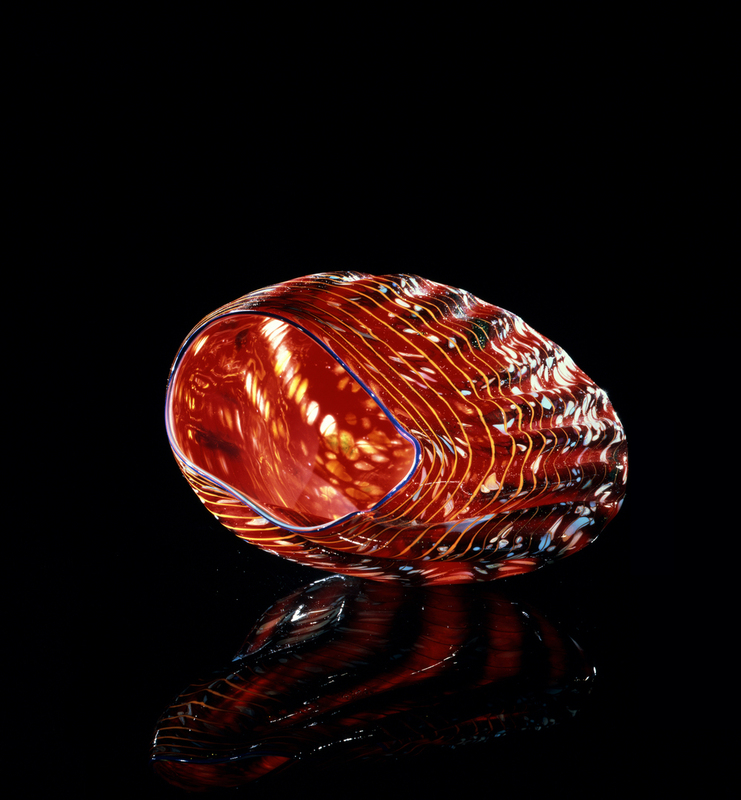 Accompanying the exhibition is the book, Chihuly alla Macchia from the George R. Stroemple Collection, a 54-page hardcover book with more than 100 photographs of Macchia vessels, details, and drawings. 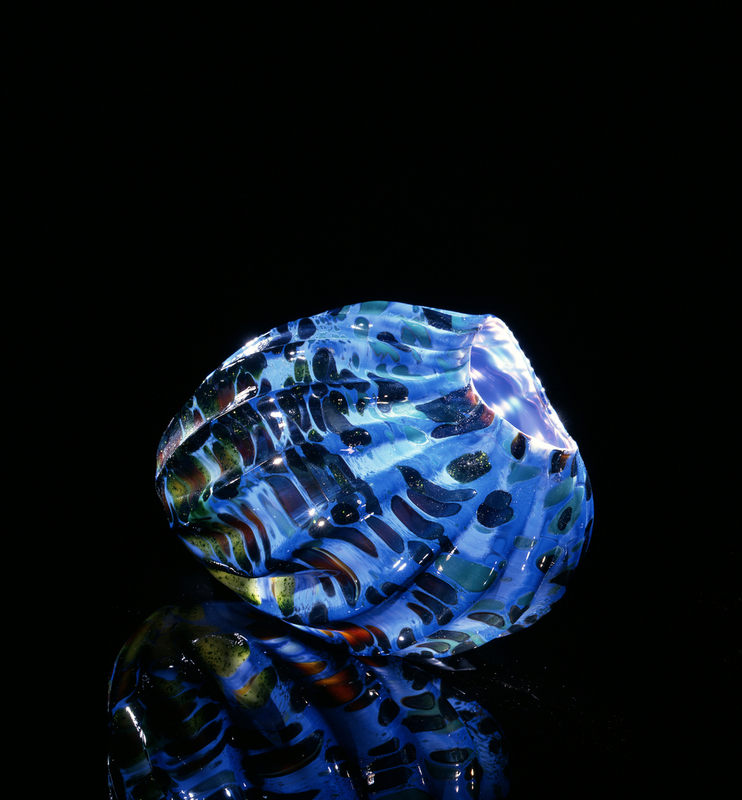 Essay by Robert Hobbs.